Habitat fragmentation and habitat deterioration are considered to be the major reasons for the decline in the number of populations of many plant species, which are now often threatened with local extinction. Today, nutrient-poor calcareous grasslands are among the most threatened habitat types and often exist only as remnant islands in a matrix of unsuitable environment. Many of the typical grassland species are therefore today restricted to isolated and often small populations. Small and isolated populations face an increased risk of extinction for a number of reasons. Environmental stochasticity is considered to be the main threat, but the loss of genetic variability due to genetic drift and inbreeding, and demographic stochasticity may also affect small populations in particular. Although there are numerous studies of declining populations in fragmented landscapes, few have analyzed the ecological and genetic processes of the colonization of newly created, unoccupied habitat patches. However, the ability to colonize new suitable habitats may be crucial for the long-term persistence of many rare and endangered plant species in changing landscapes. The probability of the foundation of new populations is linked to certain plant traits, in particular the ability of long distance dispersal. We investigate the population biological processes of colonization events in the newly available calcareous grassland habitats at the former opencast mining sites in the south of Luxembourg. As model species we chose Anacamptis pyramidalis and Iberis amara. We analyse the population structure, demography and population genetics of both species. Our study will contribute to a better understanding of the processes involved in long distance dispersal and founder events and will also have implications for the conservation and management of the newly formed calcareous grasslands at the former open-pit mines. PhD granted by the Luxembourg Ministry of Culture, Higher Education and Research. Duration: 2 years (01.03.2007 – 28.02.2009). 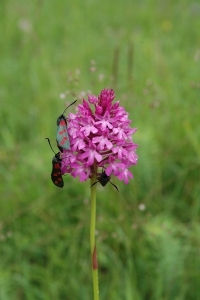 Mozek R, Colling G, Matthies D (2007a) Population structure of Anacamptis pyramidalis in highly disturbed landscapes. Popbio 2007, 20th Annual Conference of the Plant Population Biology Section of the Ecological Society of Germany, Switzerland and Austria (GfÖ). Basel, Switzerland, 17–19 May 2007. 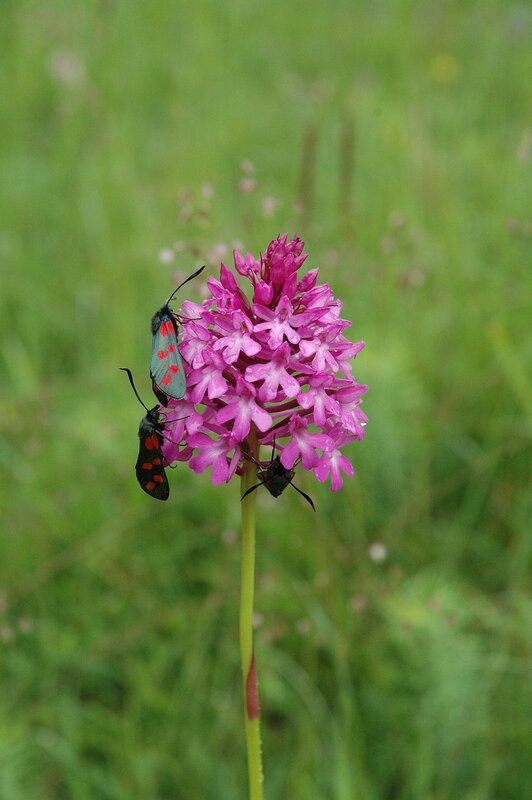 Mozek R, Colling G, Matthies D (2007b) Population structure of Anacamptis pyramidalis in highly disturbed landscapes. 37th Annual Conference of the Ecological Society of Germany, Switzerland and Austria (GfÖ). Marburg, Germany, 10-14 September 2007.